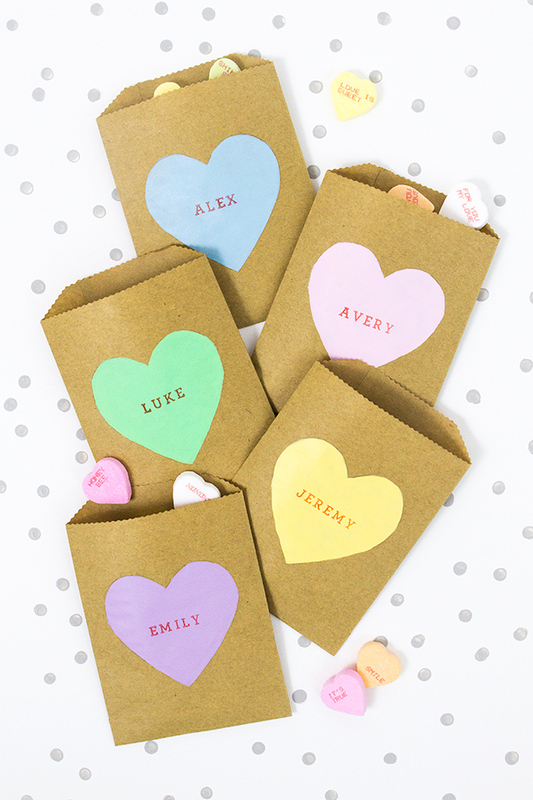 The put-a-heart-on-everything trend continues today with these conversation heart treat bags. 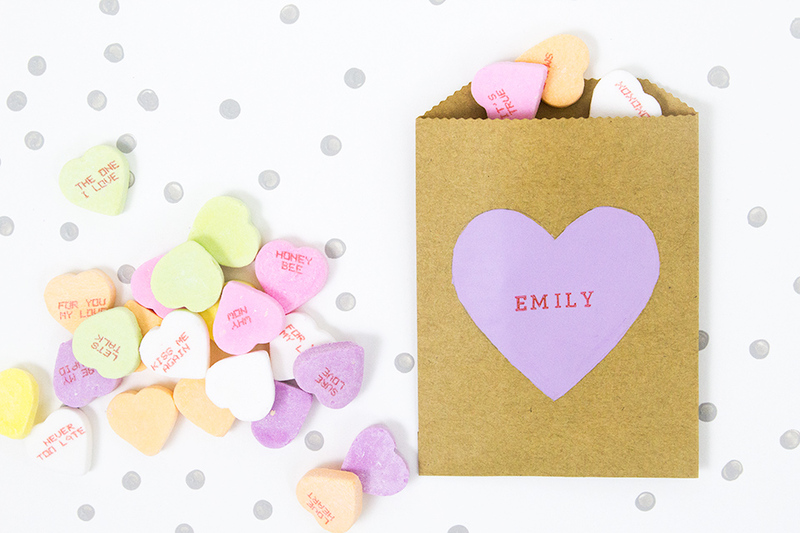 They are such a fun, simple DIY that really takes your Valentine’s Day candy giving to the next level. I mean, who wouldn’t want to get a tiny bag that’s been personalized and is filled with candy? 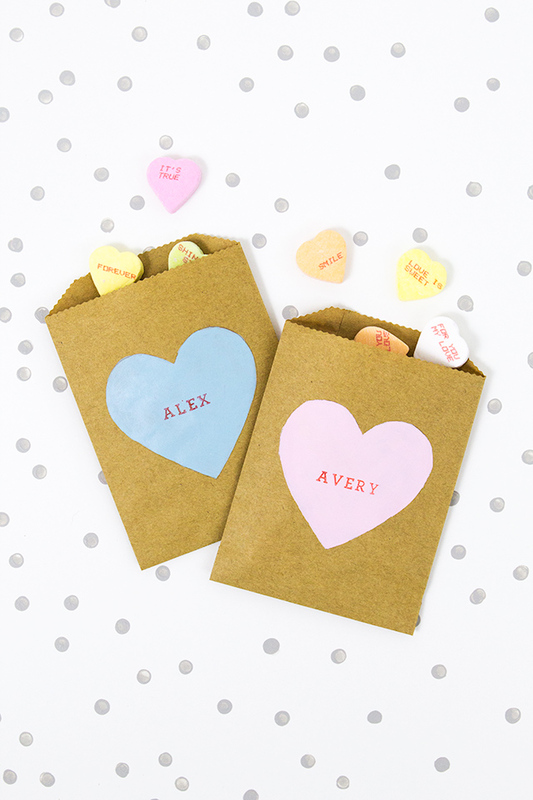 They would make adorable classroom favors or the perfect favor and place card for a Gal-entine’s Day dinner. 1. Trace the heart template onto the center of one of the bags. 2. Paint the inside of the heart. You may need to do two coats if the paper shows through. Allow the paint to dry completely. 3. 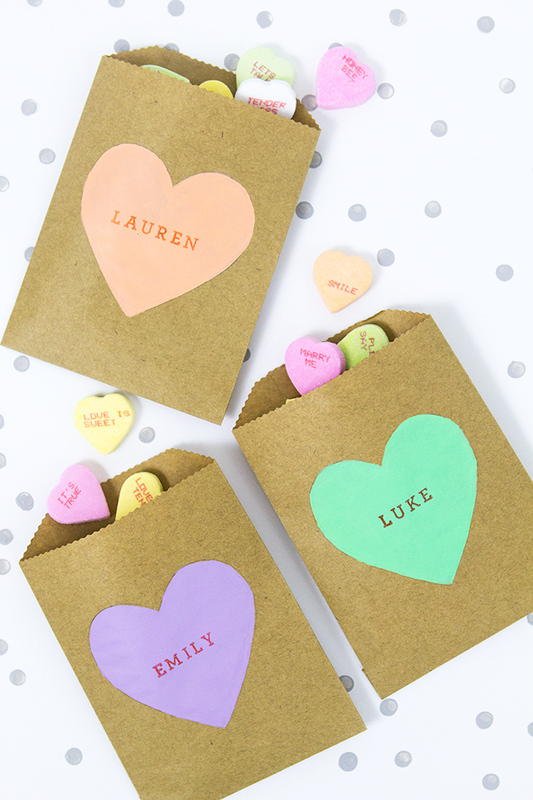 Stamp the person’s name onto the center of the heart and fill the bag with candy! If you want to seal the bags, I recommend using some cute washi tape. Get more put-a-heart-on-everything inspiration on my Valentine’s Day page! And check out the other things I’ve created using my Silhouette on my Silhouette page. Soooo cute as always, Sarah. I’m not big on eating conversation hearts, but I LOVE the way they look!